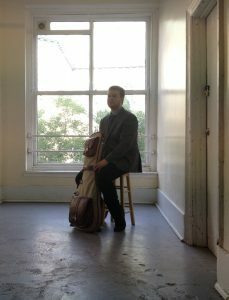 Luc Herrmann is a Montreal based guitarist who is a strong voice in the city’s next generation of great jazz musicians. A recent McGill graduate, Luc has studied and performed with some of the best jazz musicians Canada has to offer. His music, a natural blend of the old and the new, is influenced by his study of the jazz guitar tradition. At the same time, it reveals Luc’s appreciation of current composers and improvisers, so his compositions have a modern touch, and his strong melodies demand to be remembered. His personal project “The Luc Herrmann Group” is a modern Jazz quartet in which he can most truly express his artistic vision in composition and improvisation, performing mainly his own work and select repertoire from his heroes. The band always brings a high level of energy and great camaraderie to each performance, having played together now for a number of years.